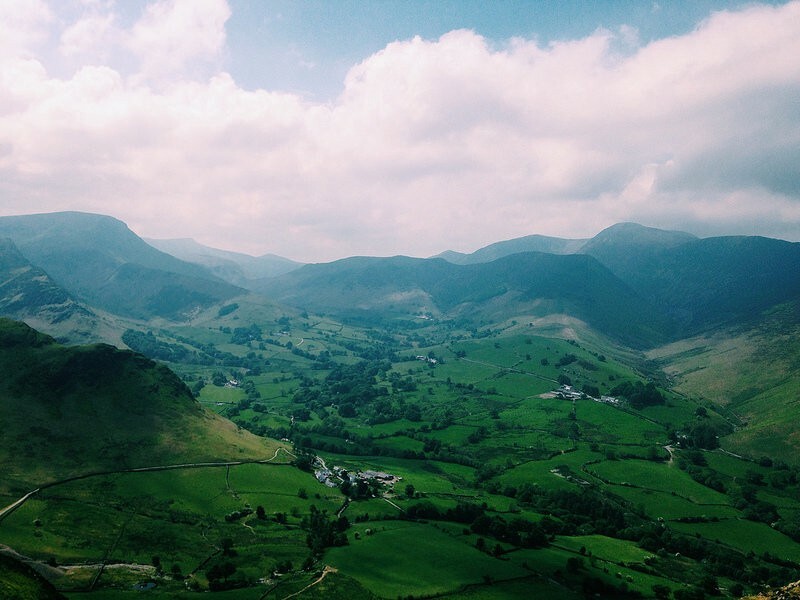 A photo Facebook never saw (Lake District, UK). I signed up for Facebook when I was a freshman in college, shortly after the platform had been opened to non-Ivy League schools. In the old days, as you’ll recall, Facebook was just for college students. It was mildly fun back then. I remember being excited to join a group for UNC freshmen and then, as I made friends in real life, add them as friends on Facebook. I signed up for events and posted photos of my friends and I lounging in the quad. But the sheen quickly wore off. Soon, high schoolers could join, which was something that annoyed a lot of us, as if we were the pure and rightful users, and then, finally, anyone with a pulse could sign up. By the time I graduated, just four years later, Facebook had already started morphing into the creepy, greedy, sadness monster that it is today. Mark Zuckerberg started Facebook as a horny college student, creating an app to rate girls on their hotness levels. Facebook might have been for bros then, but now, Facebook is for advertisers. They are his customers. We are what they are using. Facebook tracks everything you do online, buys additional information about you from data brokers, and then sells that information to advertisers so they can get you to buy things. This is what Facebook is for — and yet we all pretend that it’s happy and useful and connecting us with friends near and far. It’s not. As we shall see in the following points. Facebook’s intrusion into our lives is only going to grow. It’s in a grasping and desperate state, even with its outrageous market share. 1.2 billion people use Facebook every day, but Zuckerberg won’t stop until he has everyone. This is the central business proposition: Get the entire world onto Facebook so we can watch every human and sell them everything. It all sounds so grandiose and hyperbolic, but it’s what the benighted CEO is after. This January, Facebook has finally owned a bit of its culpability in propagating misinformation, with the announcement that it will be demoting posts from news outlets in favor of those from your friends. You’re not more connected to people. You have an illusion of knowing more about others’ lives, but do you, really? Do you really know what’s going on? Everything you see is a curated presentation. We all do it. I refuse to believe there’s even a “genuine” way to exist on social media. Even when you post photos of your toddler crying while vomiting or one of yourself with no makeup, you’re not being “authentic.” You’re also making a statement. Everything on social media is performance art. If anything, as we’ve seen, you’re staying misinformed. You’re not reading “the news:” You’re reading headlines of stories you already agree with, and usually hyperbolic reports at that. You’re also not really reading the news deeply because of Facebook: 60% of people who share links on social media don’t even click on the links themselves. This is depressing, and also nuts. You’re not hearing about all the hot parties and social gatherings. This is the main excuse I hear from millennials like myself, when I start ranting and raving about Facebook: “Yeah, I would get off, but then I won’t know about all the things that are happening!” Guess what? I’ve been off Facebook for five years, and I still get invited to parties. I still find out about events. Real talk: If Facebook is your primary vehicle for learning about events, maybe you need to start going to different events. Those who know me will cry foul, because they know I still use Facebook-owned products like Instagram and WhatsApp. I know that I’m being spied on there, too. But it’s a lower level of insidiousness, and the difference, for me, lies in the platform limitations. Instagram can’t distribute links or news stories or people’s hot takes. For me, Instagram is 80% babies, 10% people’s food, and 10% travel photos. I’m OK with that. It’s a nice visual distraction for about 5–10 minutes every day. I can watch friends’ kids grow up from afar and not read a single political opinion. WhatsApp is a wonderful way for my family to stay in touch, especially with a sister who lives abroad. I don’t have to interact with anyone but a small circle of family and friends there. Facebook controls the internet, this we know, but at least I can let it control me less. People talk about getting off Facebook in the hopes of garnering some sick sense of self-congratulation. I know that’s what this sounds like. But I just want to tell you about something that made my life better. I am a happier and more mentally balanced person because I don’t use Facebook anymore. Content strategist at @JourneyGroup by day. Calligrapher by night.